AdeelZaidi.com serves all the Urdu poetry lovers as the home for Urdu literature. 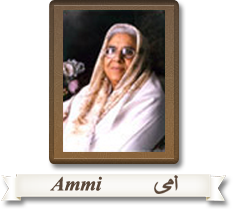 This website provides a great collection of Urdu poetry links -- Ghazals and Nazms. AdeelZaidi.com is a personal website of a student of Urdu literature. Urdu poetry is a rich tradition which was initially originated from the Persian language. It has many different forms like Ghazal, Qasida, Marsiya, Masnavi, Tazkira and Nazm. AdeelZaidi.com caters as a hub for all famous Urdu poets and their beautiful work. It's a treasure of Urdu literature and poetry. This Urdu website is a very good resource if you are looking for quality work. One can get complete range of Urdu poetry, Nazms and Ghazals here. Readers must keep in mind that this is a personal website of a student of Urdu literature and the personal information is for the family and friends of Adeel Zaidi.